Because this was our first year of doing school at home, I wasn’t sure how much we would use the computer in our day-to-day school work. But by Christmastime, I discovered the computer was a great tool to help with some of our subjects. In fact, we were using it so much that we purchased a new computer to use exclusively for home school. It helps break up the day and motivate the kids because they love computer time. I also try to organize our day so that one child can do an activity on the computer while I am helping another child with one of his subjects. Here are some of the ways we use the computer. These are great for kids whether they do school at home or not. 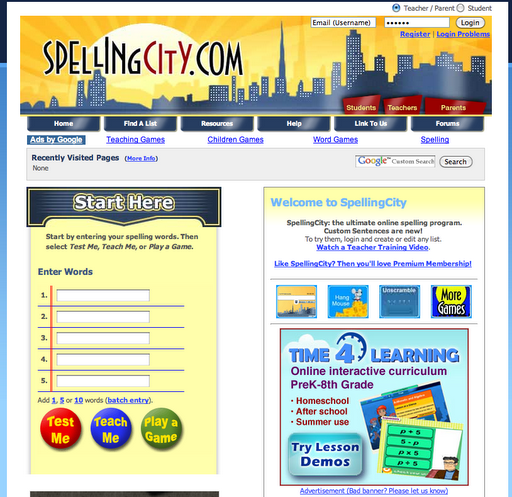 The kids love using Spelling City, which is a free web site, to review their spelling words. I let them practice their words on the computer several times a week, and then I ask them to write their words on paper the other days. Spelling City saves me a lot of time because I don’t have to give the boys their spelling words. I can type them in, and then the computer reads them and gives them a sentence for each word. They also can click to ask the computer to review only the words they missed. 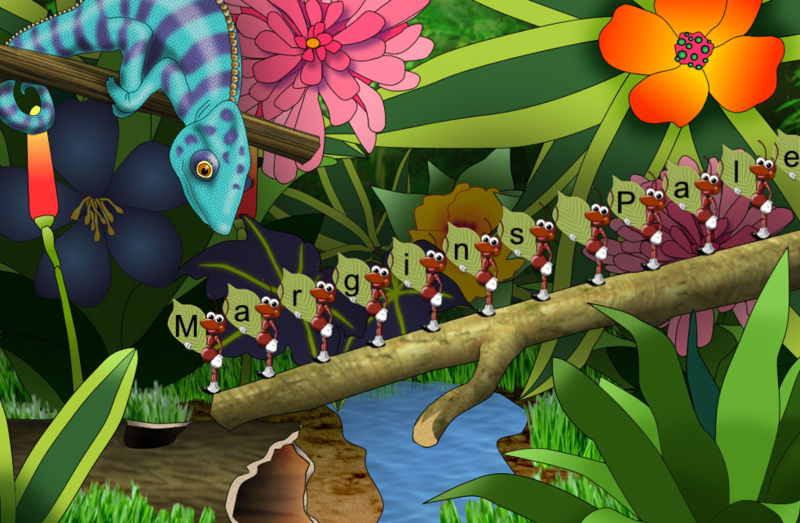 The web site includes games they can play with their spelling words. Since we do other activities as part of our curriculum, we don’t use the games. We use Sheppard Software Geography games to supplement our map work during school. The free web site has mapping games by continent, as well as games to review the United States and capitals. The games start out with a tutorial level and then get gradually more difficult working up to “cartographer”. The kids love playing the mapping games, and so do I! We usually do these one to two times a week. We use Mavis Beacon for our typing software. I guess typing is actually called “keyboarding” these days, but you know what I mean. We love this software. It teaches the keystrokes gradually and then rewards the user after a few lessons by allowing them to play a game. It scores the user by the number of errors and typing speed. The games are really fun and a great reward for completing assignments. The boys do typing twice a week and often ask to do it after school. I’m impressed with how much their typing skills have improved. The kids also use the computer twice a week to work on Spanish. We use Rosetta Stone for Spanish. It’s an expensive program, but we really like how it is set up. It uses a unique approach to teaching a language. It starts with the words and phrases one would use most often if the user suddenly landed in another country. The program doesn’t say the word in English, then in Spanish. Instead, it asks the user to match the word spoken to a picture. 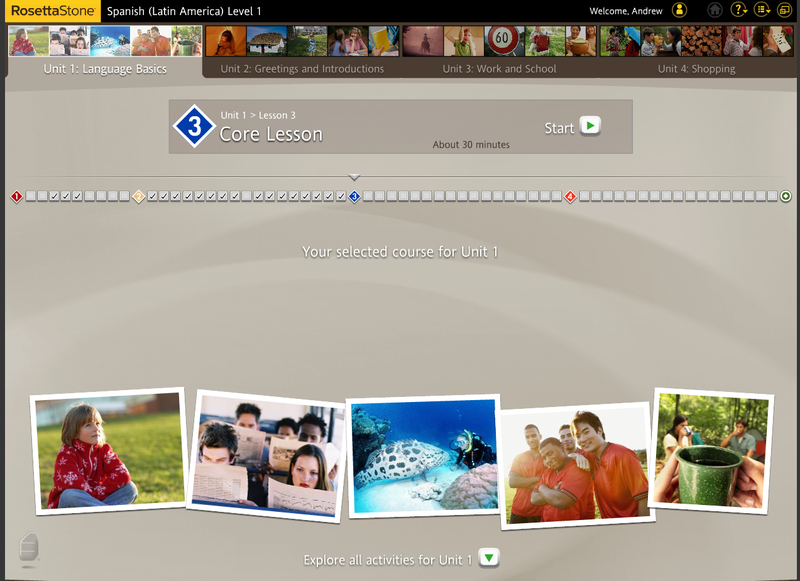 For each level, a user must master word recognition, grammar, speaking and writing the words. I like the fact that even my 5-year-old, who can’t read the words, can still use the program for many of the sections because it only requires her to listen and match the pictures. We also use the computer each day to review songs we use for certain parts of our curriculum. Some of the things we sing include the books of the Bible, states and capitals and lots and lots of grammar songs. In fact, we sing more than a dozen grammar jingles each day to remind us of how to use nouns, verbs, prepositions, pronouns and more. We often sing the songs together, but we also have a microphone and headset on the computer. This has helped tremendously to allow the kids to do their computer work without disturbing others in the family. I would love to hear from you! Do you use your computer for any educational games? Do you have any web sites or software to recommend? Lynn, it seems like homeschooling should be one word, but my spell check always marks it. So, I change it to two. So… even home schooling can't help with learning how to spell homeschool.Laurel, the kids love playing with Jumpstart, too. We have a version for our computer and they loved it so much they used their Christmas money to buy a Jumpstart Wii game. Great post! We are going to try Rosetta Stone and the typing for next year… I hear they are fabulous! I had not heard of the spelling one… they all look good. We have been using the computer more and more, the boys really enjoy it. Holly,Surely, you have heard of Shurley Grammar and all of her wonderful jingles. Anyone who can write a song around 23 helping verbs and name every preposition in a jingle is pretty much a rock star in my book. "A sentence, sentence, sentence is complete, complete, complete when five simple rules it meets, meets, meets! "Kendra,That looks like a good one! I checked it out! Thanks!